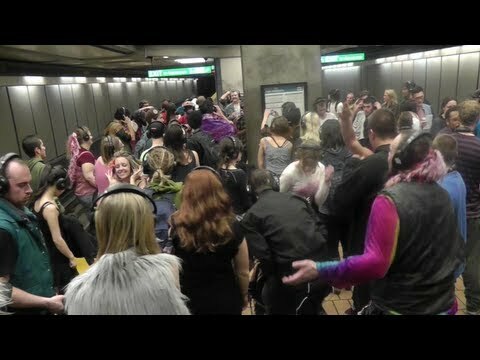 The San Francisco company ZEROdB hosted a silent rave on BART Saturday night. Attendees with wireless headphones danced in the last few train cars. Tagged bart, dance, dancing, host, rave, silent, wtf, zerodb. Bookmark the permalink.